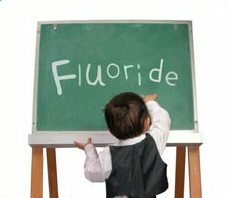 Fluoride is proven to be excellent for preventing tooth decay. If we spot early lesions on the teeth or if a child is at high risk of decay we often recommend professional fluoride application 2-3 times per year. Usually this is in the form of fluoride varnish application, which has been shown to reduce decay by 33-45%. Topical fluorides are directly applied to the erupted teeth. There are several solutions and gels used by the dentist in the clinics for topical fluoride applications. 1. 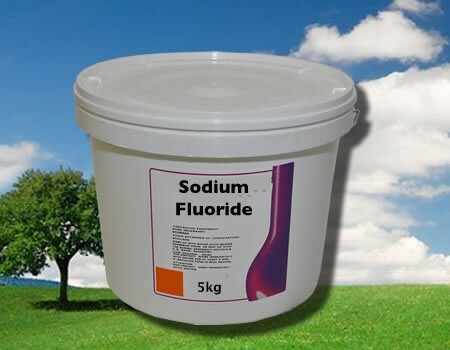 The dentist will dissolve 20 grams of sodium fluoride (NaF) powder in 1 litre of distilled water in a plastic bottle. 2.NaF should always be stored in plastic bottles. If they are stored in glass containers, the F ions of the solution can react with the silica of glass forming SiF2 reducing the availability of free active fluoride for anticaries action. 3. The dentist will then use Knutson and Feldman’s technique for applying fluoride. 4. First the dentist will clean and polish your teeth in the first appointment. 5. Then the dentist will isolate the upper and opposing lower quadrant with cotton rolls to dry the teeth thoroughly. 6. The dentist will then apply 2% of NaF with cotton rolls applicators and allow it to dry on the teeth for about 4 minutes. 7. NaF is applied once because once a layer of CaF2 gets formed , it interferes with further diffusion of F ions to react with hydroxyapatite. This is calling the choking off phenomenon. 8. Avoid eating, drinking for the next 30 minutes. 9. 4 applications are needed. So the 2nd, 3rd and last application are done at weekly interval. 10. Application is recommended at 3,7,11 and 13 years old. Advantages : They are chemically stable, acceptable taste because of neutral pH, non-irritating to gingiva, does not discolour teeth , cheap and inexpensive. Disadvantages : 4 visits to the dentist within a relatively short time. 1. The dentist will prepare 8 % SnF2, content of one capsule is dissolved in 10 ml or distilled water in a plastic container and then shaken. 2. SnF2 solution is to be prepared just before each application. 6. Then, the dentist will apply the freshly prepared 8% SnF2 continuously to the teeth with cotton applicators. 7.The solution is then reapply on the tooth every 15-30 seconds so that the teeth are kept moist with the solution for 4 minutes. 8.Do not eat, drink or rinse for 30 minutes. This helps in prolonging the availability of fluoride ions to react with the tooth surfaces. It is applied once a year. Disadvantages : Unstable in aqueius solutions and should be prepared fresh for each patient. Its naturally low pH is rather astringent and the solution has a metallic taste that may cause gingival irritation. 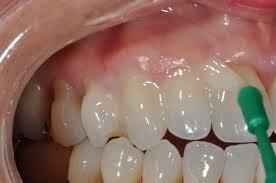 It produces discolouration of the teeth and staining on the margins of the restorations. 1. The dentist will dissolve 20 grams of NaF in 1 liter of 0.1M phsophoric acid. To this, 50 % hydrofluoride acid is used to adjust the pH at 3.0 and fluoride concentration at 1.23 %. 4. APF solution is continuously and repeatedly applied with cotton applicators. 5. Keep the teeth moist for 4 minutes. 7. The procedure is repeated for remaining quadrant. 8. Instruct the patient not to eat, drink or rinse for 30 minutes. Its applied semiannually. Advantages : Fluoride uptake following application of APF Solution is greatly accelerated whereas that following NaF is much slower. 50% more effective than NaF. APF solution is cheap , can be prepared easily It is stable with long shelf -life when stored in opaque plastic bottle. Disadvantages : Teeth must be kept wet with the solution for 4 minutes. APF solution is acidic, sour and bitter in taste. 1. A thorough prophylaxis is done by the dentist and dry the teeth. 2. The dentist will drop the varnish onto the brush and paint the varnish thinly first on the lower arch as the saliva collects more rapidly on it. Disadvantages : Patience compliance is required. This entry was posted in Oral Care and tagged calcium fluoride, dentist, fluoride, sodium fluoride, topical fluoride on October 9, 2011 by meifong.